Whether you’ve begun your wedding preparations, or just don’t really know where to start, if 2015 is the year you’re getting married, here’s a roundup of everything you need to know in terms of trends... so nothing is missing from your big day! 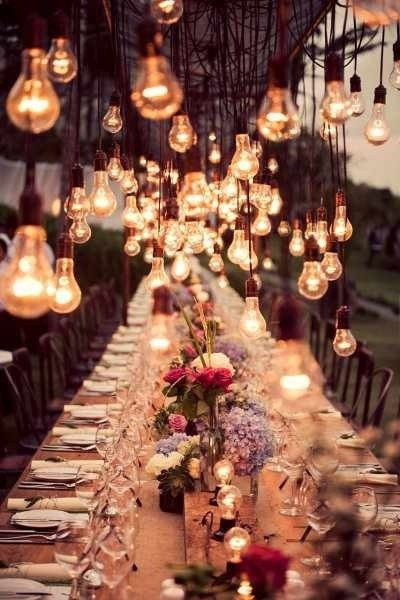 The biggest trend in décor and themes for 2015 weddings is undoubtedly the bohemian-chic or rustic style – informal and unconventional weddings are trending. The idea is to create a very personal and intimate atmosphere, almost homey, as if we had brought together our family and friends at home. In this theme, the focus is on long wooden tables instead of round ones and wooden chairs or benches, as well as white twinkly lights as a key element in decorating and creating this cozy environment. For brides and grooms who simply won’t give up on their idea of a glamorous wedding, in terms of decor, copper becomes a good alternative to the typical gold and silver. 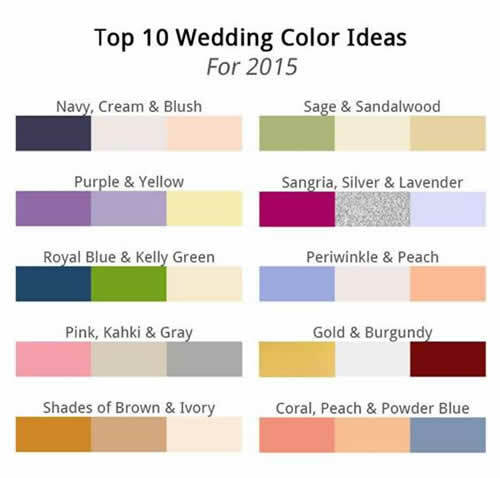 Used together or separately, these are the main trending colors for 2015 weddings: blue (navy, royal, baby); pink (pastel, peach, coral); red (sangria, burgundy); brown (light, beige, sandalwood, roasted); neutral (ivory, cream, pastel yellow, gray); green (aqua green, khaki, deep green, sage green); purple (lilac, lavender); luxurious (gold, silver, copper). According to the 2015 trends, the flowers used in weddings are also going to be of rustic and country inspiration – with floral arrangements and bridal bouquets composed of flowers that seem freshly picked right off the field. 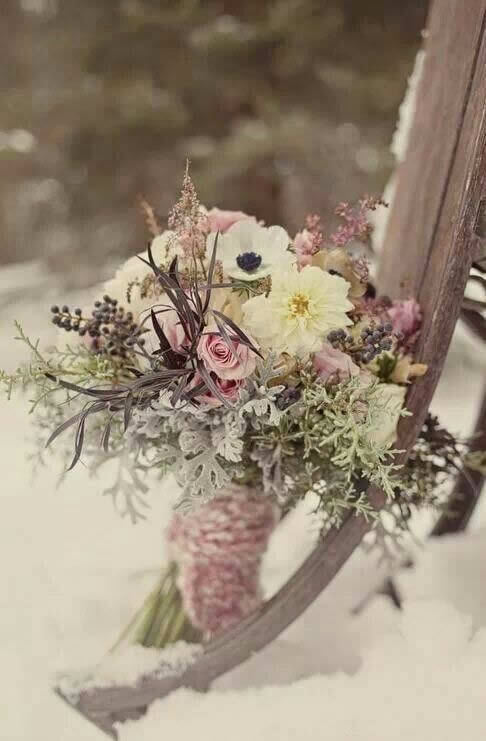 Using seasonal flowers remains a huge trend, as well as incorporating the season’s elements in the arrangements themselves: chestnuts, pine cones and acorns, if we’re talking about a fall wedding; or a wool-wrapped bouquet, when planning a winter wedding. For spring-summer weddings, the trend is the use of pastel colored flowers or total white. For more sophisticated weddings, ultra-luxurious flower arrangements are trending, especially romantic and large petal flowers – like orchids, hydrangeas and hyacinths – while avoiding exposed leaves, branches and stems. Depending on the wedding theme (and the available budget! ), there are two options for wedding catering in 2015: a tasting menu with several small dose and impeccably presented dishes, in the style of true Michelin star restaurants. On the other hand, there is also emphasis on home cooked and lovingly served meals, based on local and organic products. 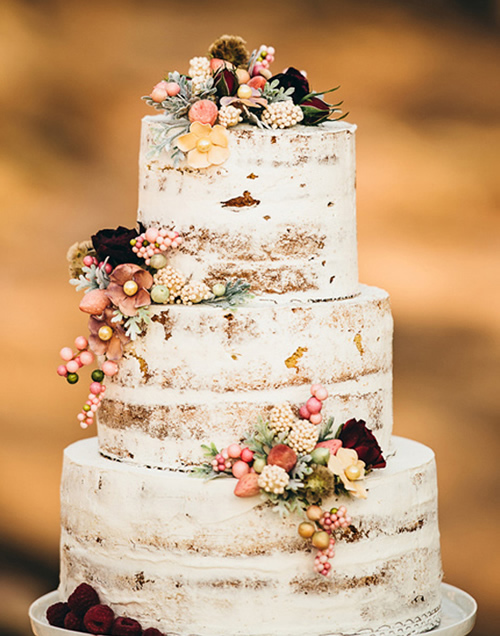 Regarding the wedding cake, the classic tiered cake is back – with or without frosting – and it should be big, beautiful and, of course, delicious. Another trend for 2015 is the option of serving the wedding cake as dessert. 2015 brides will have many and gorgeous trends to choose from when it comes to wedding dresses: it is going to be the year of vintage dresses, with defined silhouettes, but also models with off-the-shoulder tops, either on one side or both. In terms of necklines, we highlight two trends: higher necklines with embroidered details, and deep V necklines. Other trends in wedding dresses that are worth considering for 2015 include: dresses with pockets, dresses with lace sleeves, dresses with small capes for the shoulders, dresses with sparkling appliqué and dresses in pastel colors, namely pink, mint and gray. 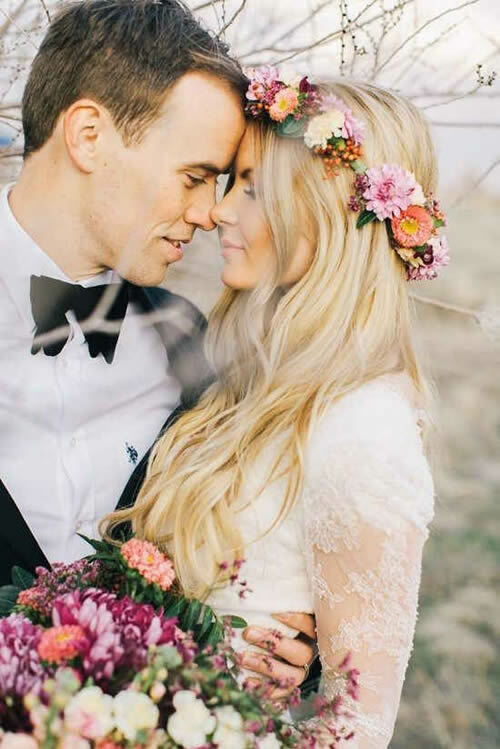 In terms of accessories for the bride, flower crowns are here to stay and are beautifully consistent with either a rustic wedding or a boho-chic wedding. Veils also return in full force and are an option for any bride, regardless of the style or wedding dress chosen for the big day. Once more discreet, in 2015, earrings and necklaces worn by brides should be big and make a true statement. The groom was not forgotten in the 2015 wedding trend forecast: retro-inspired, slightly looser suits, are back... but be careful, they are not for everyone! Alternatively, there is also a return to the past of true Englishmen and their brown tweed suits, vest included. 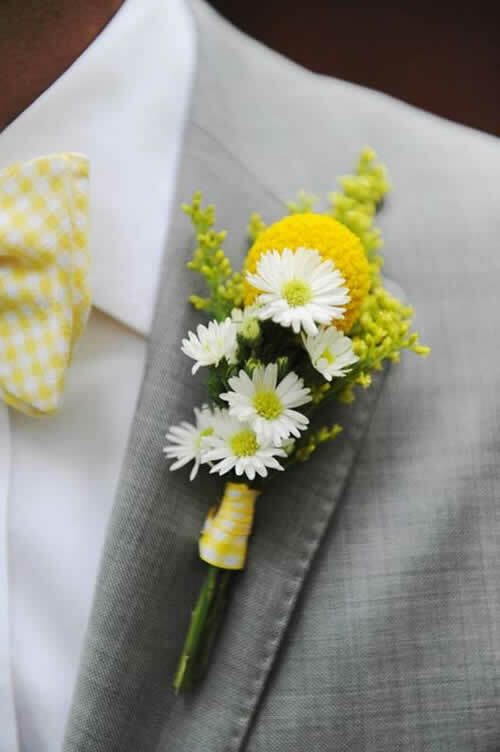 For those grooms aiming for a more contemporary and bolder look, we must highlight the following trends: pastel pink suits, neck scarf instead of a tie and small touches of yellow either on the tie, neck scarf, boutonniere, socks or even the shoes. The rustic inspiration that dominates a good part of the 2015 wedding trends is also extended to the invitations. In addition, the focus is mainly on the font or fonts used, giving great importance to what is written, and thus becoming the focal point in terms of design. In lettering, silver will substitute gold. Alternatively, in 2015, we’ll also see many wedding invitations inspired by watercolors and pastel hues, mainly pink and skin colored. 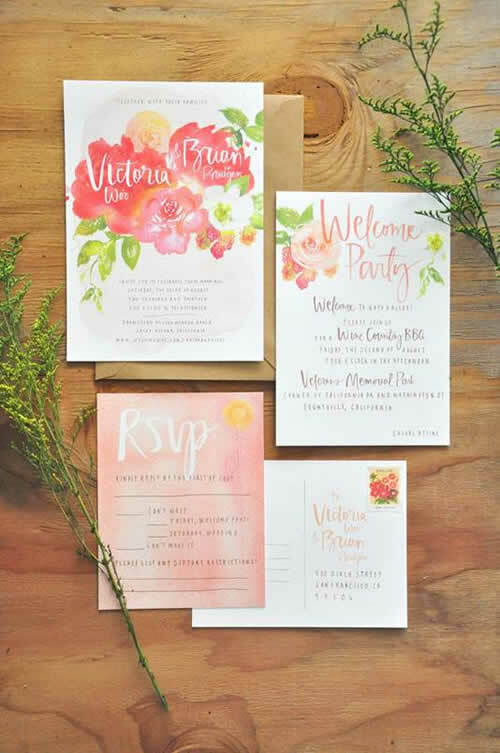 The invitations in unexpected shapes (cutouts, for example) and poster style are other ideas to consider if you’re looking to create a very unique wedding invitation.